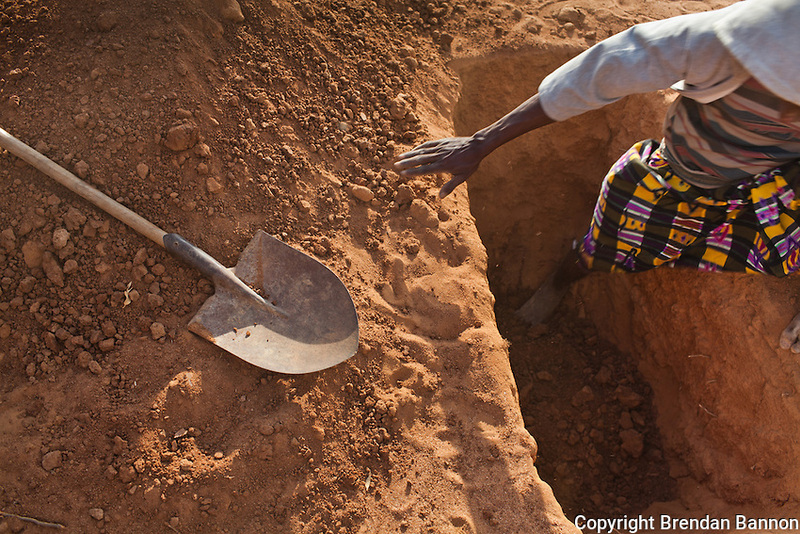 Somali refugees dig the grave of Ibrahim Issack, a six year old child who died of complications of severe malnutrition a month after arriving in the camp, according to his uncle Hassan Issack. "We fled Buaale and traveled for 21 days by foot. It was very tiresome. we walked through drought with no food and little water. Along the way we were robbed and women were raped. They were attacked between after crossing the border into Kenya. Utensils, matresses and money were stollen.